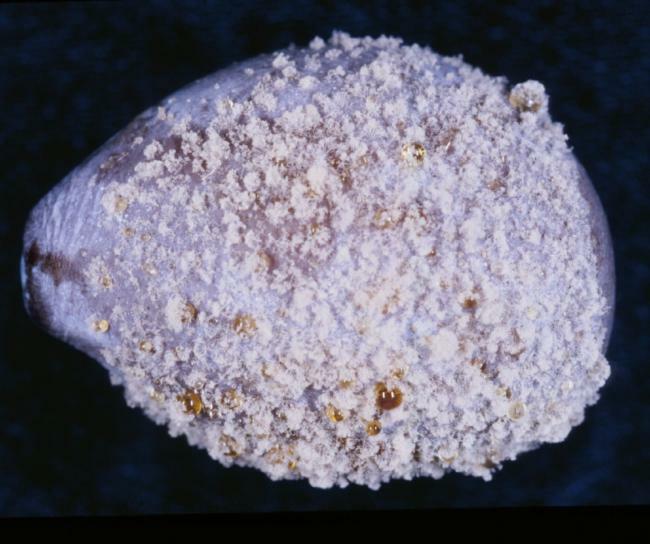 This technique can be used to determine the latent infection of fruit caused by Monilinia fructicola. Immature fruit collected from orchards could be used to determine the incidence of latent infection. Surface sterilize the fruit in a chlorine solution (32 ml of 0.525% sodium hypochlorite, 32 ml 95% ETOH, and 0.01 ml surfactant Tween-20 in 2 L water) for about 15-20 minutes. Then wash these fruit with sterile distilled water 10 times, and place on a sterilized plastic screen in a container with 150 ml water at the bottom. Place the containers in a freezer at 3.2ºF [-16º C] for 10 hours initially and then at room temperature for 5 days. 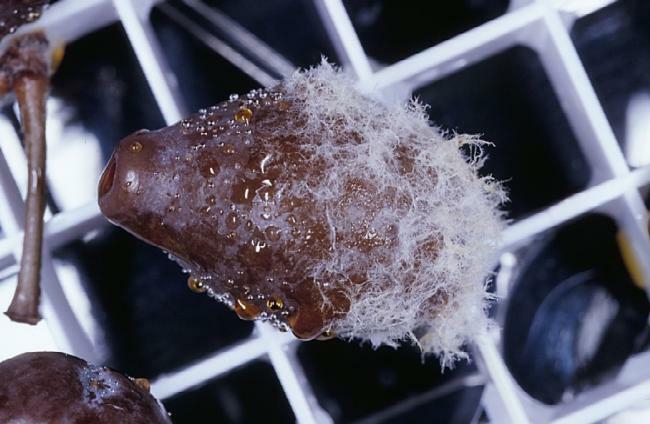 By this time, fruit covered with sporulation of M. fructicola could be recorded, and incidence as percentage of brown rot of fruit can be calculated for each sample. 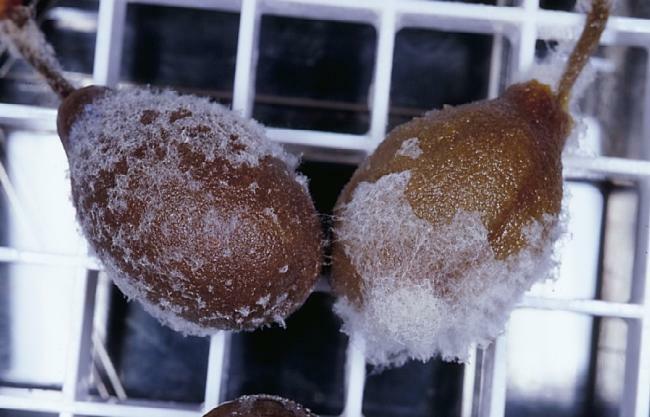 The following pictures can be used to identify the M. fructicola infected fruit after using the ONFIT process. The arrows indicate the brown rot fruit. 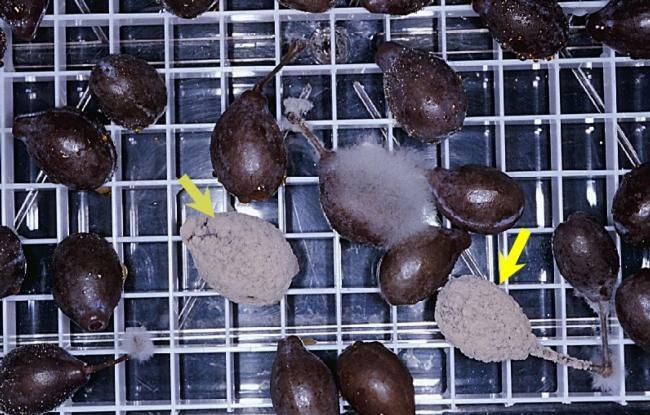 These fruit are caused by Trichoderma spp. They are not brown rot fruit. This is a typical brown rot fruit. 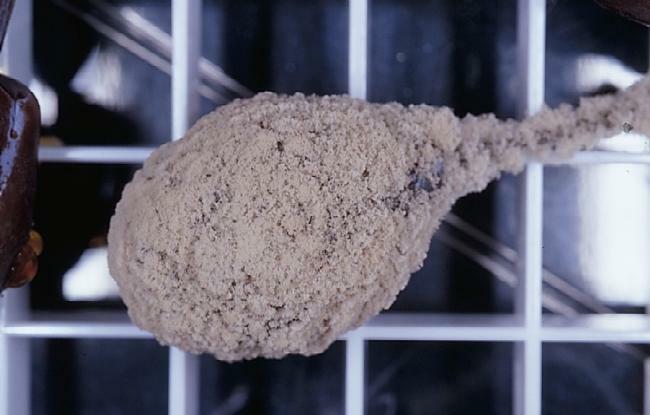 This is a typical brown rot fruit after 5 days of incubation. 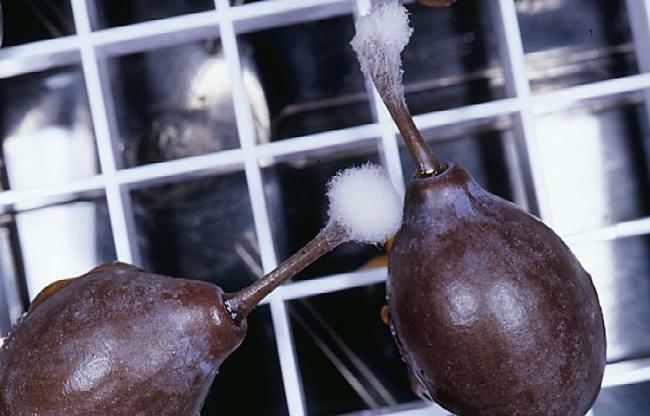 These fruit are not brown rot, they are caused by Botrytis spp. 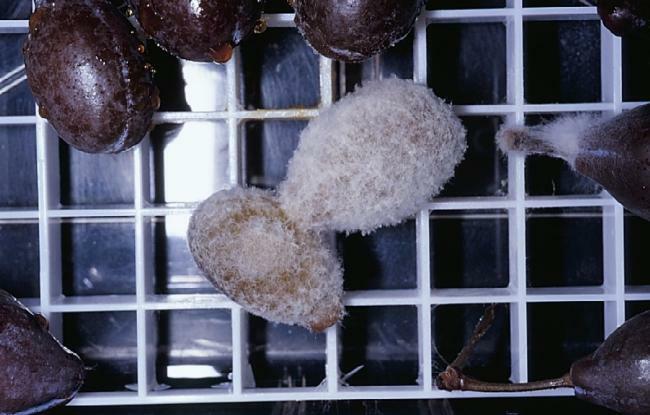 These are not brown rot fruit, they are caused by Botrytis spp. This is not a brown rot fruit, they are caused by Botrytis spp.